The Vamoose is a one-woman operation based in the UK. Designed and handmade by the very talented Kathryn Blackmore, her jewelry line is both stunning and unique, and it's a gorgeous mix between vintage, elegant and fun! OK, I'll take one of everything!! love love love! so pretty. ooh everytime you show some jewellery I want to go buy it! great find! This jewelry is amazing. So unique and creative! Thanks for sharing the find! I came across your blog through 'In Honor of Design'. It's so pretty & charming! Glad I stopped by. yesss I love her collections! I see one I want right meow. Off to check out her shop! So pretty! 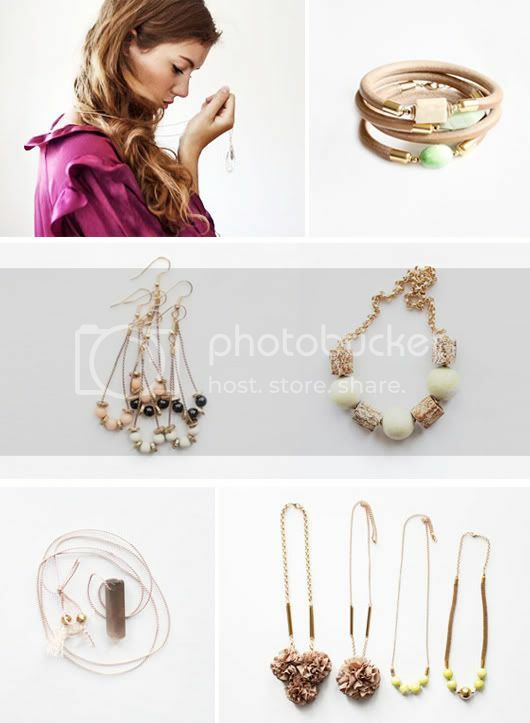 Love this collection of jewelry! ohh i love it all! now i feel like shopping! I've seen these a few times, so pretty! Wish I could get it in the US! im seriously going to check her out - i LOVE that bangle. thanks for sharing!! I absolutely love this collection! I'm pretty sure the bracelets are my favorite. Love your blog so much, definitely following! aw thanks so much lovely for following my blog! :) i'm now following yours as well :). and wow, the jewelry design is AMAZING and so sweet and feminine. i loove it! will definitely check it out now, thanks for sharing this! :) ps. i love the layout of your blog ;). so pretty! And I love finding new jewelery lines.